Many of our families struggle with food insecurity, relying on government food assistance or community food pantries to feed their families. When that family includes a pet, food assistance for their four legged family member can be hard to obtain. In our own East Garfield Park community, MCP works to address this problem by supplying pet food donations to Breakthrough Urban Ministries' Fresh Market food pantry every month. When families with pets visit the pantry for food assistance, they can now get a hand in feeding their entire family, two-legged and four. 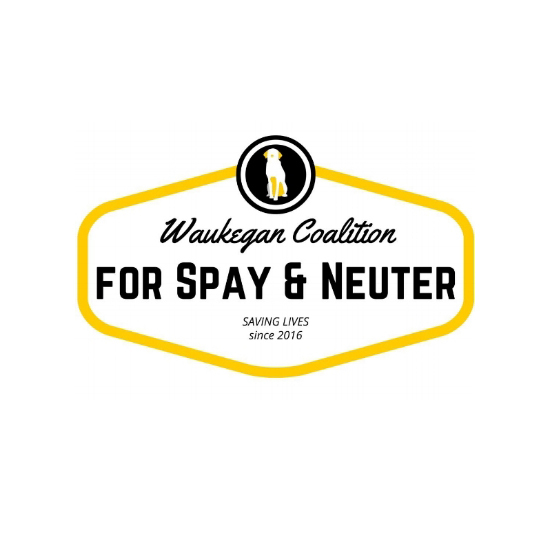 MCP partners with our colleagues Players for Pits, Fetching Tails Foundation, Live Like Roo Foundation, Blackdog All Breed Dog Rescue and Waukegan Police Animal Control to provide free spay and neuter surgeries, vaccinations and microchips through the Waukegan Coalition for Spay and Neuter. 2016's clinic served more than 200 dogs and their families! A new way to help pets and families in the Chicagoland area stay healthy and stay together: the Chicagoland Rescue Intervention and Support Program (CRISP). MCP is proud to be part of this partnership between six Chicago rescue groups and Chicago Animal Care and Control to provide assistance and support to pet owners in need, divert owner surrendered dogs to accredited rescue groups and ultimately reduce the numbers of animals surrendered to Chicago Animal Care and Control's shelter. In just the first six months of the program, more than 263 animals were able to avoid the shelter through the program. Collaboration and partnership defines the Best Friends Network, which includes more than 2,000 public and private animal shelters, rescue groups, spay/neuter organizations and other animal welfare groups across all 50 states. Best Friends understands that needs-driven, community-based work is the key to ending the killing in America’s shelters. MCP is proud partner with the Best Friends Animal Society.